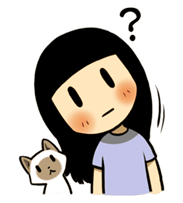 Perhaps you might curious, what is the differences between BB Cushion & CC Cushion? The difference between BB and CC is subtle. As we knew, BB stands for "blemish balm", whereas BB are like lighter foundation & pretty like tinted-moisturizer but with skincare benefits thrown in. Meanwhile CC generally stands for "color correction" or "color control" that giving even more natural finish and blooming coverage that helps to brightens the complexions; meant to address issues like redness or sallowness. Generally CC has more whipped, light, fluffy feel finish; kind of the new and improved BB. 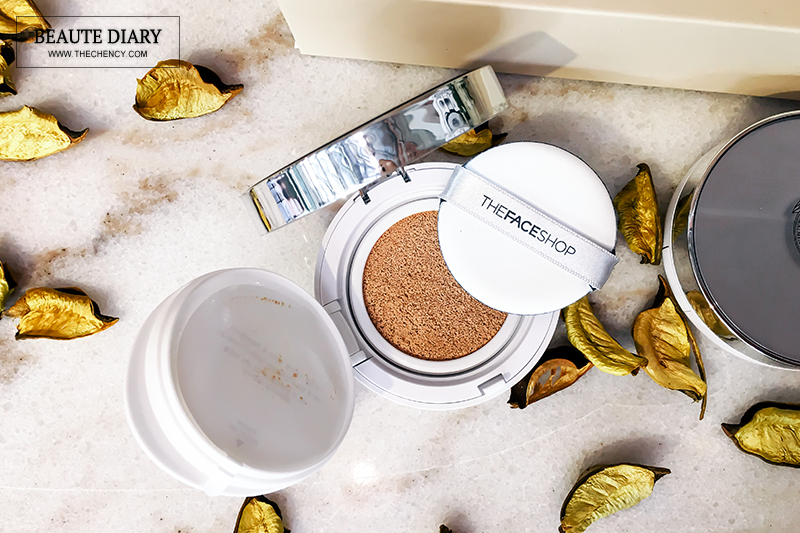 The Face CC Cushion is the combination of CC cream in a Cushion form. It has the color correction / color control functions of CC cream and moisturizing benefits of Cushion Foundation for long-lasting moisture and radiance. It also has high skin protection of SPF 50+ with PA+++. 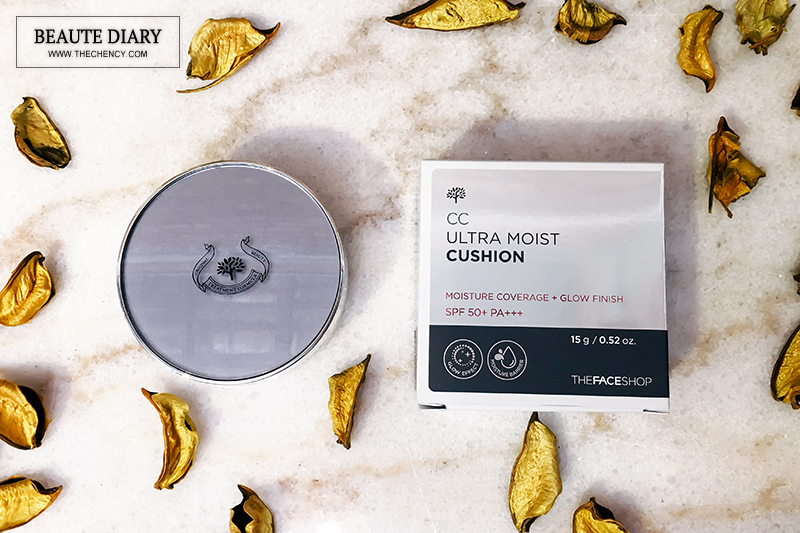 If you're makeup form clumps or feel dry even after applying skin care products then The Face Shop CC Ultra Moist Cushion might be the one you're looking for. 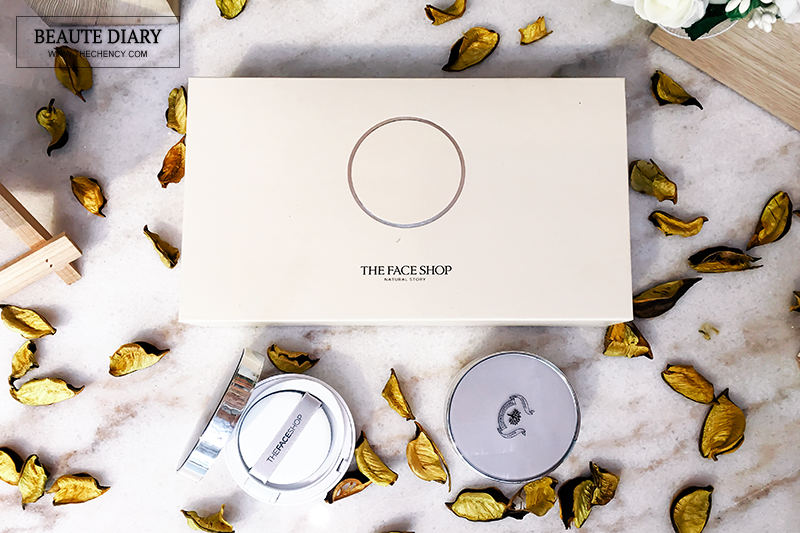 The Face Shop CC Cushion gives an intense hydration without making the skin looking oily but a healthy glowing skin because it contains essential serum like calendula, rosemary and lavender extracts; which will gives beautiful elegant radiance to the skin even for hot weather country. The Face Shop CC Ultra Moist Cushion is clinically proven for 25 hour-lasting moisturizing and hydration. 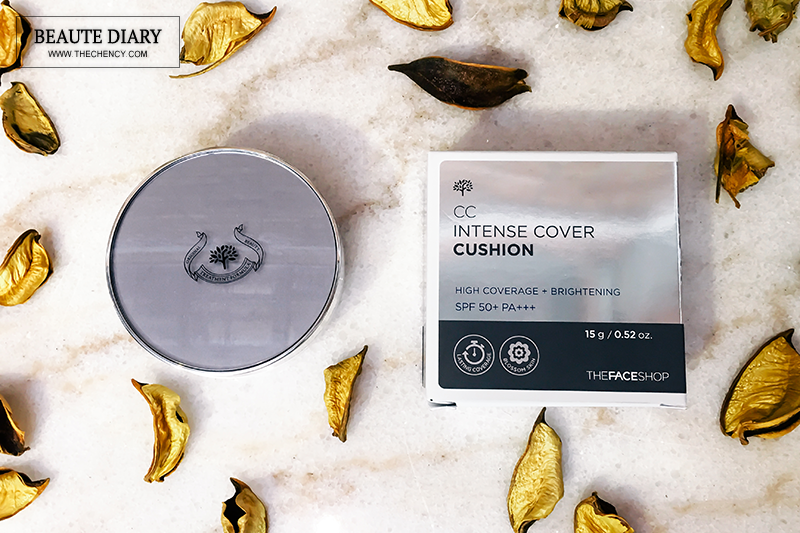 The Face Shop CC Intense Cover Cushion offer better coverage with clinically proven for 25 hour-lasting moisturizing and coverage effects. It claimed giving a full coverage finish and blooming effect to archive a perfect yet hydrating skin. This CC Cushion contains rich moisture with Hyaluronic Acid which improves the skin's moisture, intensely hydrates skin from deep within, making skin look voluminous. It is also contains valuble oils and extracts made of 7 kinds of flowers such as borage, rosemary, German chamomile, lavender, rose essential oils, calendula and almond. 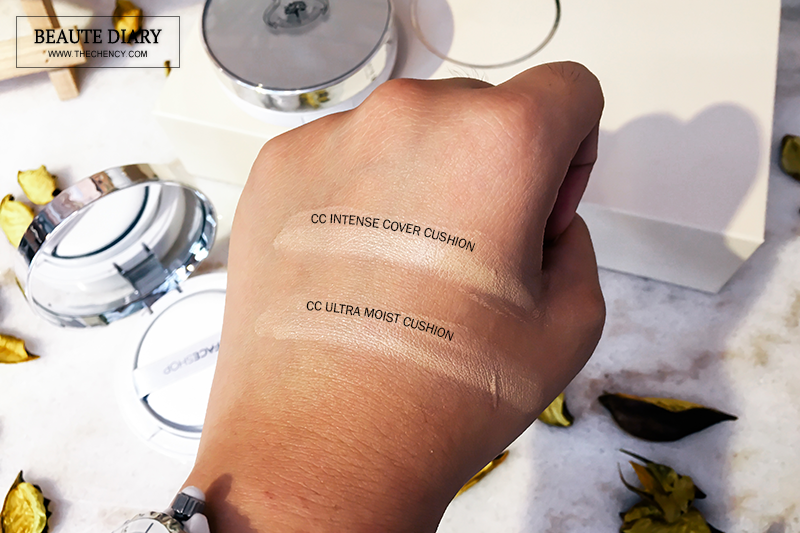 Personally, I am more hand up to this CC Cushion, The Face Shop CC Intense Cover Cushion because it is provides better coverage; buildable light to full coverage and it's give a silky-matte yet still have glowing finish. The consistency is slightly thicker than CC Ultra Moist but still very lightweight and fresh while applying. The only thing is it sets pretty quickly. Like what it claimed, I am so happy that this CC Cushion still stay perfectly without oxidize even after a long hectic activities. I think thic CC Intense Cover Cushion is also suitable for dry and mature skin as this CC Cushion still very hydrating. The Face Shop CC Ultra Moist & Intense Cover are now available at all The Face Shop stores on Malaysia with two shade available V201 Apricot Beige & V203 Natural Beige. It is also available at their e-store with special offers. Haven't tried this brand cushion range yet, gonna check it out soon! Heard so much about this, but i personally do not like the dewy effect it gives out as that reminds me of "stickiness"
My family and I really love to buy the products from the face shop! Because this products really good! Gonna check this out. This post came out just in time since I am just about to shop for a new cushion and/or cc cream. The CC Ultra Moist Cushion looks suitable for my skin. Will get it later to looks good. Among the 2, my favourite is the intense cover because it can help to camouflage my pigmentation. Will check it out soon! Price wise they are pretty reasonable! Now I know face shop have an e-store! It's gonna make my shopping so easy :) thanks for sharing this! hi i have dry skin, which cushion, can u recommend?